Rugged, legendary, and always a favorite. And new Toyota 4Runner lease deals make it easy to drive one in the Las Vegas area. It’s durable enough for off-roading, functional enough for weekend outings to the Sloan Valley National Conservation Area, and of course, stylish enough for cruising the Strip. The 4Runner’s impressive utility, from its vast amount of passenger and cargo space, to its powerful seamless technology and high-end interior, makes it the choice of SUV drivers who want the power of a truck with the luxury and convenience of an SUV. If you’re trying to decide whether to buy or lease the new Toyota 4Runner, that’s OK. Findlay Toyota can help. We’re here to answer every single question you can think of, and we can help with financing and service, too. We’d love to get you behind the wheel of the latest model Toyota 4Runner for a test drive. 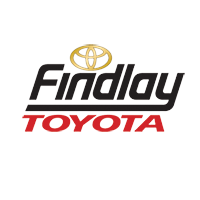 Visit Findlay Toyota today, and let’s get started!